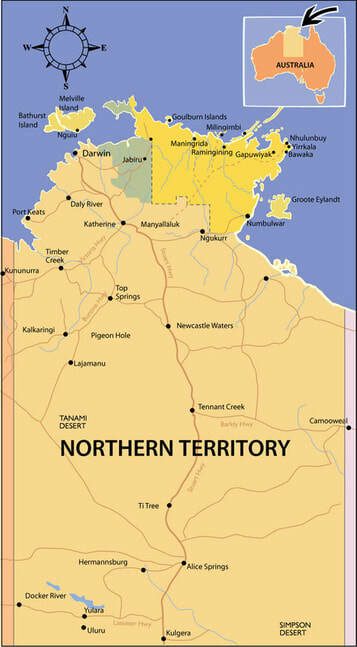 East Arnhem Land in the Northern Territory is remote and rugged, and one of the most isolated places in Australia. It's a place where English is not the first language for the vast majority of the 10,000 residents who call this land 'home'. It's a place steeped in history, legend, mystique and stories. It's also one of the best places in which locals and visitors can celebrate life's special moments. Based in Nhulunbuy, I am available to help you celebrate life's special moments with a range of civil (non-religious or 'secular') ceremonies. These predominantly include weddings but I am also able to perform commitments, renewal of vows, namings, memorials and funerals if desired. I welcome all​ clients. I am a 'hobbyist' celebrant, in that I perform ceremonies now as a hobby, not a business, but my clients continue to receive the professional service I have provided since day one. My website provides an overview of the wedding ceremonies I provide, locations locally that may be suitable for these special events, links to local service providers, and much more. If you would like further information about the other ceremonies I provide which aren't featured on this site, please contact me. If you have any questions, would like further information, or to make an appointment for an obligation-free meeting to discuss your event and what you would like to do, please Contact Me.